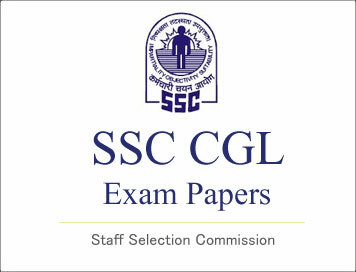 (Previous Year Papers) SSC CGL: (Tier-II) English Language Exam "Held on: 16-09-2012"
Directions: In questions no. 1 to 5, sentences are given with blanks to be filled in with an appropriate word (S).Four alternatives are suggested for each question. Choose the correct alternative out of the Four and indicate it by blackening the appropriate oval () in the Answer Sheet. 4. She has seen this movie twice. 5. My father has _________ returned home from work. Directions: In questions no. 6 to 8, out of the four alternatives, choose the one which best expresses the meaning of the given word and mark it in the Answer Sheet. Directions: In Questions no. 9 to 11, choose the word opposite in meaning to the given word and mark it in the Answer Sheet. Directions: In questions no. 15 to 24, four alternatives are given for the given idiom / phrase of as underlined in the sentence. Choose the alternative which best expresses the meaning of the Idiom/ phrase and mark it the Answer Sheet. 15. The mother- in law expected her daughter-in law to be always at her beck and call. 16. When I opened the door, my books were lying at sixes and sevens. 18. I am trying to figure out the hidden agenda in yesterday’s meeting. 22. I find myself in a position where I have to choose between the devil and the deep blue sea. 23. Even a small toy can become an apple of discord between two Children. 24. Do you think this examination is a hard nut to crack?